After my recent blog post about growing up in an alcoholic family, I got a lot of requests for additional reading suggestions. We are fortunate that there are many helpful books for Adult Children of Alcoholics (ACOAs) on healing codependency, trauma, and relationship challenges. Below are some of my reading suggestions for adults who were impacted by their parent’s alcoholism. Most of these books are also useful if you experienced other types of childhood trauma or family dysfunction such as witnessing domestic violence, a parent with a mental health problem or addiction (substances, gambling), child abuse, or childhood emotional neglect. Adult Children of Alcoholics by Janet Woititz and Recovery: A Guide for Adult Children of Alcoholics by Gravitz and Bowden are my go-to resources for understanding the family disease of alcoholism and specifically how it impacts children into adulthood. 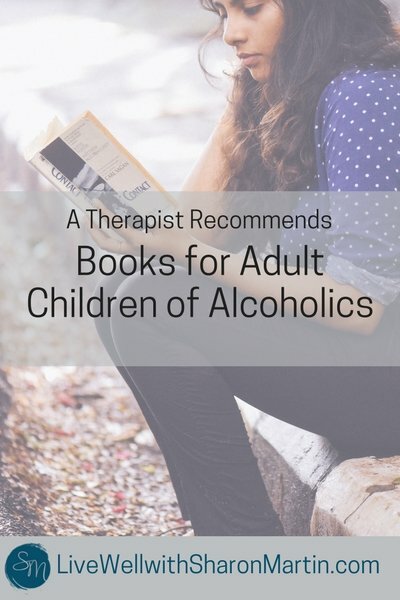 These books are affirming and eye-opening if you are just connecting the dots between your current struggles and your childhood experiences with an alcoholic parent. While only some ACOAs experienced physical abuse or physical neglect as children, it’s likely that all ACOAs experienced at least some level of emotional neglect. In Running on Empty, Jonice Webb explains that emotional neglect refers to the lack of emotional attunement, connection, and responsiveness from parents resulting in feeling disconnected and flawed. Another helpful book for adult children of alcoholics is Melody Beattie’s classic book Codependent No More. This is another book that I return to over and over again. It offers such an insightful and comprehensive look at understanding and changing our codependent behaviors that it has stood the test of time. I also highly recommend Grandchildren of Alcoholics: Another Generation of Codependency by Ann W. Smith. Even if you aren’t the grandchild of an alcoholic or addict, this is an important look at the generational impact of codependency and addiction. I encourage you to read it if you notice codependency in yourself and your parents, if you’re not sure where your codependency originated, or you feel like something was off or never talked about in your family. Unfortunately Grandchildren of Alcoholics is out of print, but as as of the writing of this article, used copies were available on Amazon. Unfortunately, ACOAs often experienced trauma in childhood. According to the Substance Abuse Mental Health Services Administration, “Individual trauma results from an event, series of events, or set of circumstances experienced by an individual as physically or emotionally harmful or life-threatening with lasting adverse effects on the individual’s functioning and mental, physical, social, emotional, or spiritual well-being.” And more than half of American adults have experienced at least one traumatic event. Some helpful books for adult child of alcoholics who’ve experienced trauma are: The Body Keeps Score by Bessel Van Der Kolk, Waking the Tiger: Healing Trauma by Peter Levine, and Complex PTSD: From Surviving to Thriving by Pete Walker. Do you feel like you’re stuck in the same relationship patterns – the same arguments, choosing the same kind of partners, or struggling to connect and trust? Many of us intentionally set out to marry someone that we believe is different from our own parents. And yet we’re baffled years later to find that our partner seems to have all of our parents’ worst traits! In Getting the Love You Want, Harville Hendrix helps us understand how our childhood wounds impact our choice of partners and how our dysfunctional relationship patterns get repeated in our adult intimate relationships. According to Hendrix, we recreate patterns from our childhood with our intimate partners until we learn to heal and get our needs met in healthy ways. I highly recommend this book if you’re feeling stuck in your marriage or have had a series of unfulfilling relationships. Attached by Amir Levine and Rachel Heller looks at intimate relationships from an attachment perspective. The basic premise is that we attach to our parents as infants according to how our needs are met and in adulthood we interact with intimate partners using the same attachment style. When you understand whether you have a secure, anxious, or avoidant attachment style, you can learn to create healthier relationships. This book can also help you shed new light on your relationship patterns and understand yourself and your own needs better. Many ACOAs have a hard time identifying what they want and need and have an even harder time asking for it. The Assertiveness Guide for Women by Julie Hanks is a practical guide to help women recognize that their feelings and needs are valid. We’re afraid that speaking up will make us seem difficult or needy, but communicating our needs and opinions actually improves relationships! There tends to be a lack of boundaries in alcoholic families. This can include anything from inconsistent rules, to a lack of privacy, to unwanted physical touching. Many ACOAs became caretakers to parents and siblings out of necessity, making it hard to set limits and say “no”. In addition, caretaking and people-pleasing were ways we felt valued and needed; we became afraid of conflict and afraid that if we set boundaries we’d be abandoned or rejected. Two solid resources for understanding boundaries are Where to Draw the Line: How to Set Healthy Boundaries Everyday by Ann Katherine and Boundaries by Henry Cloud and John Townsend. And I’ll add a self-promotional plug for my own e-book Setting Boundaries without Guilt: A Workbook to Move You From Doormat to Empowerment, which is full of concrete exercises to help you unwind your fear-based thinking and learn how to set boundaries without feeling like you’re selfish or uncaring. Just as we take our dysfunctional relationship patterns into our intimate relationships, we also take them into our parenting. As you’d expect, having a dysfunctional model of parenting, makes it hard to know what a healthy parent-child relationship looks like or what age-appropriate expectations are or how to handle an acting-out child without losing your sanity. Parenting from the Inside Out by Dan Siegel and Mary Hartzell will help you understand your own history, including attachment and brain development, so that you can be the parent you want to be. 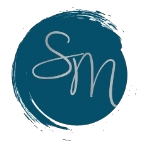 Siegel has written several other parenting books, all with excellent reviews, that are probably worth checking-out as well. I consider the next two books must-reads for almost everyone. Brene Brown’s book The Gifts of Imperfection (or any of her subsequent books) get to the core of our struggles with worthiness, perfectionism, shame, and ultimately the courage to be our true selves. Brown’s books are a pleasure to read — full of real-life stories and humor, in addition to her research. And Self-Compassion: The Proven Power of Being Kind to Yourself by Kristin Neff introduced me to the simple, yet revolutionary, concept of self-compassion. The ability to be kind to ourselves when we’re struggling is a fundamental piece of healing any emotional wound, in my opinion. Self-compassion doesn’t come naturally to many of us, perhaps because no one modeled self-compassion or let us know that our feelings and needs matter. Neff provides a host of exercise that are helpful in developing the skills for self-compassion. Despite being a therapist and a personal-development junkie, there are many more books that I have yet to read. If you’ve read something amazing that you’d like to recommend, please leave it in the comments so others can benefit. ©2017 Sharon Martin. All rights reserved. ⟵Are You Stuck in the Codependency Maze? My experience of emotional abuse came from the suicide of my parents my father when I was 8, my mother when I was 12. This was due to alcohol and bankruptcy. I am a psychiatric nurse therapist and have written a novel about a young woman who kills her alcoholic mother. I wrote it to try to convey the misery of alcoholism to children. My book is called ‘ PARADISE LOST ‘By Mollie Bach. I think your website is brilliant. I wish we could have a conversation. Am a practicing psychiatrist in India. Yet I read all your articles as an individual. It benefits a lot to me and my clients. I dream that you and your team visit India and conduct some programs on relationships, ACOA. I’m so glad it’s helpful and thank you for sharing it in India!